Click and Deal Trading – What is Forex Click and Deal Trading? The internet and computer software advances have increased the pace at which the foreign currency market, and especially the online forex trading market, has evolved. The Forex trade market is fast moving towards self-trading, relying more and more on web based technology and moving away from the traditional brokerage institution. The latest internet based foreign exchange platforms all implements Click and Deal trading options. Many forex brokerages are now implementing automated processing for all click & deal foreign exchange dealings. Click and deal trading allows investors to carry out forex transactions, such as spot, forward and swap transactions and money market transactions such as deposits fast, simply and securely. 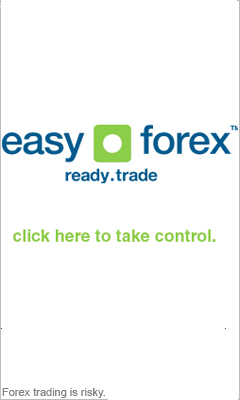 Click and deal platforms, allow FX traders direct link access to forex markets. Forex currency prices are streamed 24 hours a day and can be analyzed, recorded and processed by a click of a button. The benefits of FX click and deal trading includes real-time transactions, without intermediaries, and without barriers to entry. Any BUY or SELL instruction (click) will be preformed against a real time margin check and if verified it will immediately respond by giving a trade confirmation. Click trading offers functionality, security and deal trading at your finger tips. Selecting the best foreign exchange broker amongst thousands of other forex brokers might seem like a daunting task. Click trading normally cuts out the need for a currency dealer, seeing that all forex and capital market trading is fully automated by software based programs. Human intervention is thus removed from the Forex trade market and an unbiased, researched trading response is executed. User friendly management and marketing research tools are provided with all standard foreign exchange click and deal trading. Foreign exchange overheads are reduced by cutting out expensive brokerage consultants, efficiency and time reduction is installed and this all contributes to savings in the form of tighter spreads. Two to three pip spreads on most major Forex currency pairs are normally guaranteed by using click trading. Slippage is reduced by executing the price that you click on. The forex click and deal trading normally also do not require any request for quote limitations. No quotes are needed to trade Forex and the whole trading experience becomes fast, reliable and automated. Excellent leverage is mostly provided by Click and Deal trading companies. Fills on both limit and stop is also usually guaranteed with an added bonus of 1% margin trading. Click and Deal trade is executed within a matter of seconds. Forex click and deal trading companies can process all major Forex transactions including spot transactions, forward transactions and swap transactions.